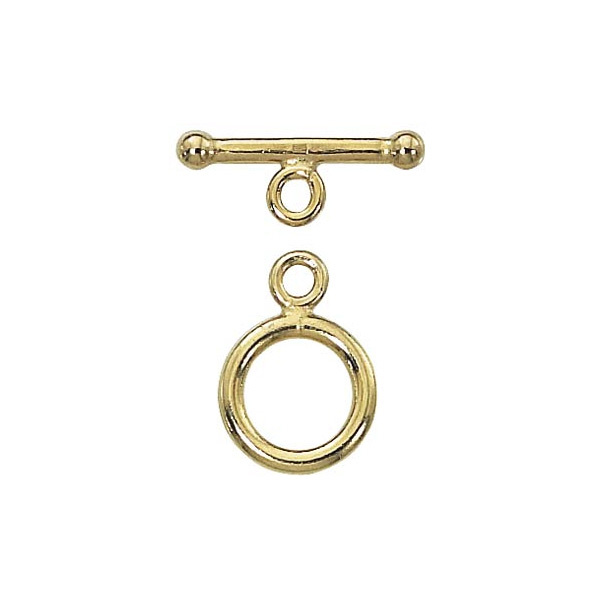 14/20 Gold Filled Toggle Clasp with a smooth, round finish, 11mm in length. This gold-filled clasp goes with just about any of our beads and is one of our most popular products in 14/20 gold-filled. Sold per set(bar and ring).